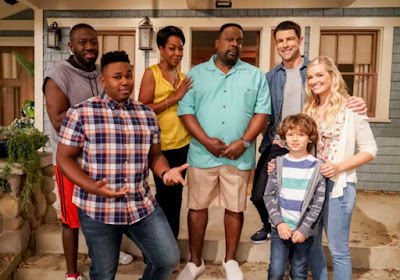 So what's the deal here? Am I supposed to call them donuts or doughnuts? I'm left in a conundrum. It seems like it can be either way! I'm going donuts, just because that is how I have always and forever done it. Ok then. Yes. 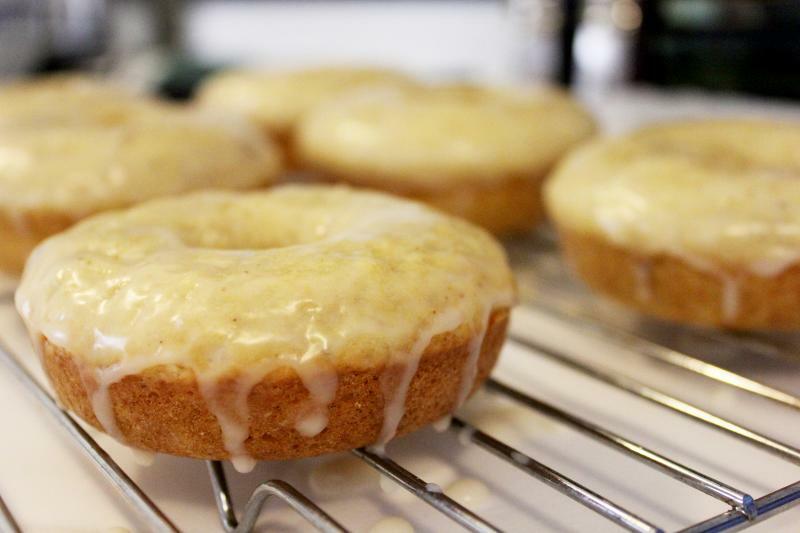 Baked donuts are a thing right now. They've become such a thing, that even though it seemed silly to get a donut pan, I put one on my Christmas list anyway. These are the first donuts in what I'm sure will be many varieties. 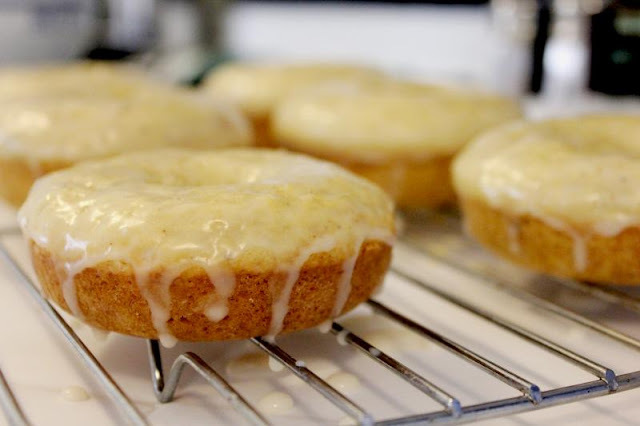 They're a pretty basic version with some browned butter and just a regular ole glaze. Nothing too fancy here, because sometimes all you really want is a plain donut. In the original recipe, there was a whole lot of nutmeg going on. Now don't get me wrong, nutmeg is a perfectly decent spice, but too much of it can be super overwhelming. Also, it seems a bit weird in a donut unless you're going totally holiday-themed. So I'm recommending NO nutmeg. I mean, add a pinch if you really like the stuff, but otherwise, these don't need them. Place one of your oven racks in the upper third and preheat the oven to 350F. 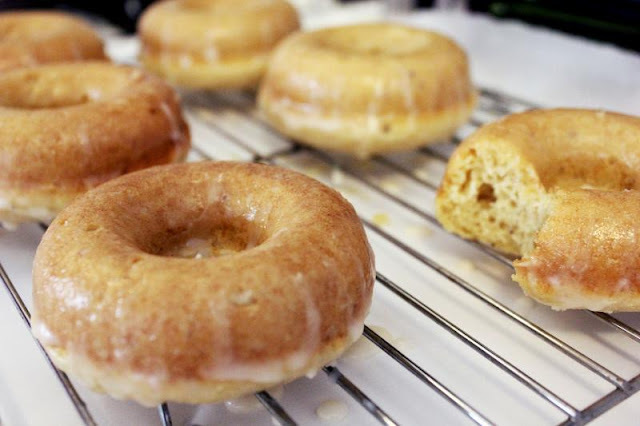 Lightly grease your donut pan and set aside for now. 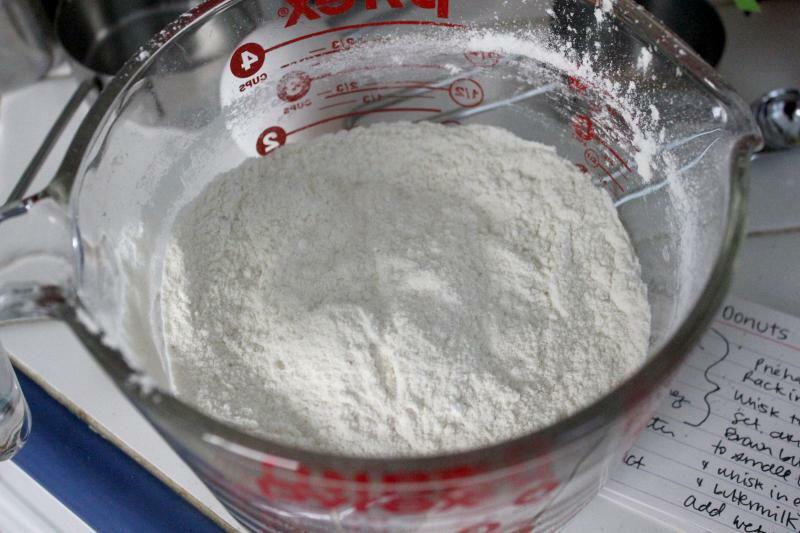 In a medium bowl, whisk together your flour, salt, sugar, baking powder, and baking soda. Set that aside for the moment. Brown your butter. 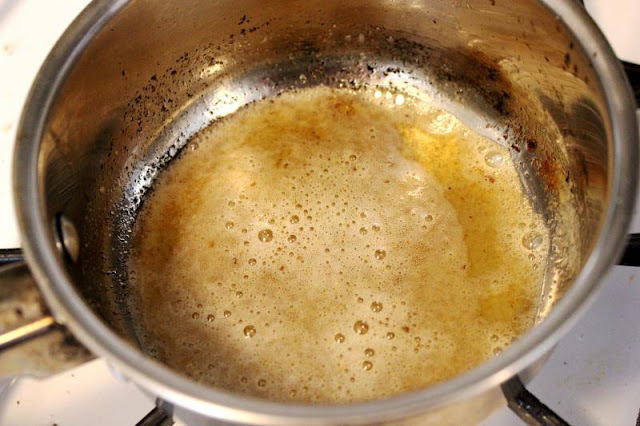 Basically you melt your butter over medium-high heat until it starts turning brown and gives off that lovely nutty aroma. It changes pretty quickly, so keep your eye on it. Put that aside to cool a little. 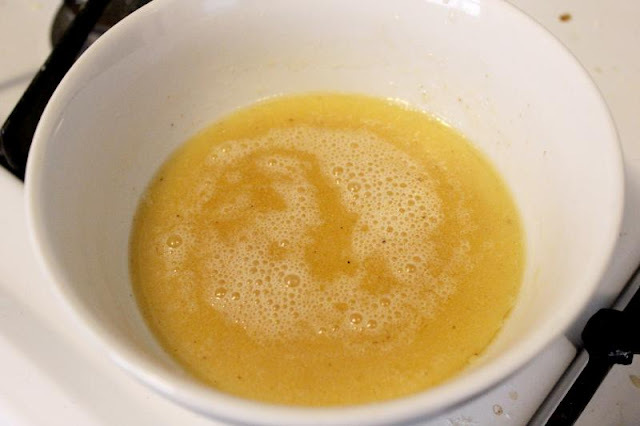 In a small bowl, whisk together your egg, buttermilk and vanilla, then add in your browned butter and whisk some more. Add those wet ingredients to your dry ingredients and stir until just combined. 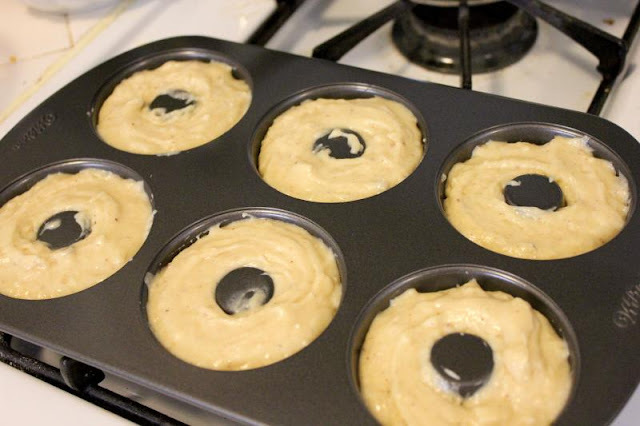 Dollop the dough into your prepared pan, about 3/4 full of batter per donut. Bake for 8-10 minutes. You can insert a toothpick or testing device to make sure that they are cooked through, as the tops do not really brown. Let them cool in the pan a little before inverting onto a wire rack to cool completely. Now, make your glaze. Whisk together your sugar, milk/water and vanilla until you get the consistency you like. When your donuts are cool, dip them with the top side down into the glaze. 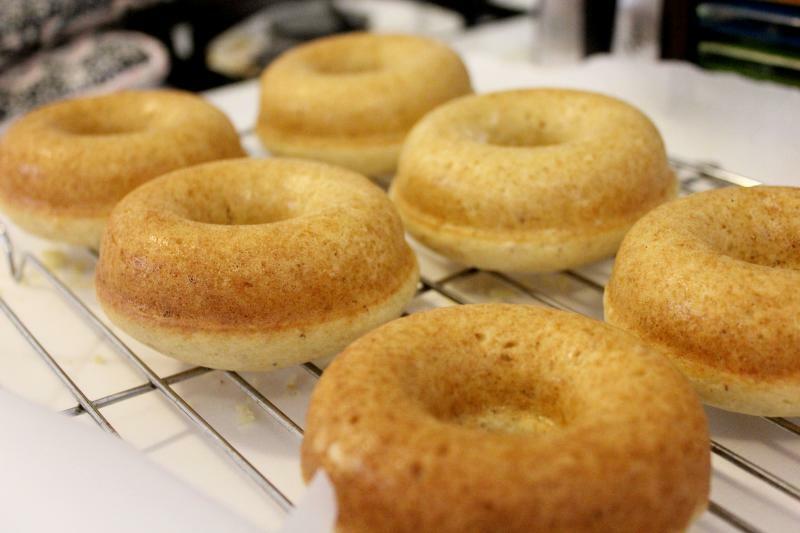 You can sprinkle with toppings at this point or dip both sides to get more of a completely glazed donut thing going on. Set for 30 minutes and eat within two days before they go stale. 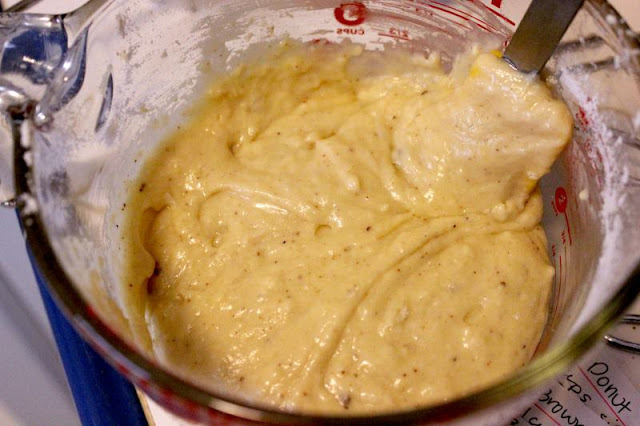 Whisk together your flour, salt, sugar, baking powder, and baking soda. Brown your butter. Marvel in the delicious smell. 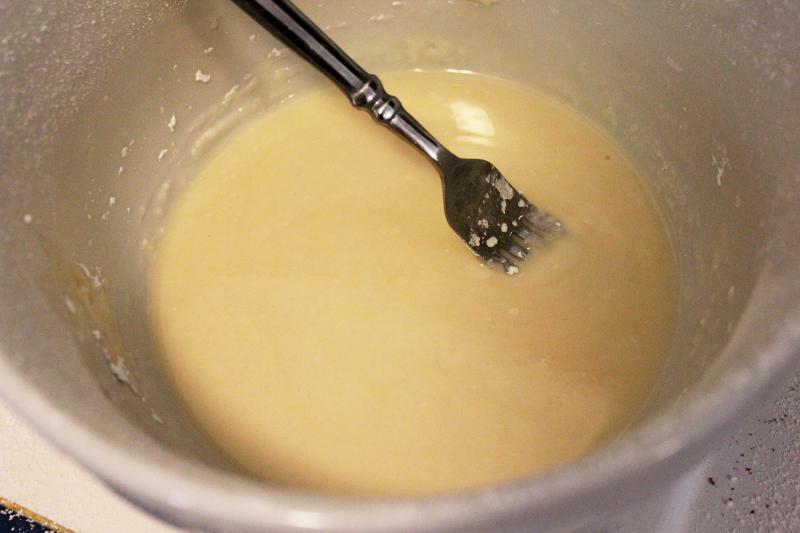 Whisk together the butter, egg, buttermilk and vanilla. Mix your wet with your dry. Love the brown better specks. 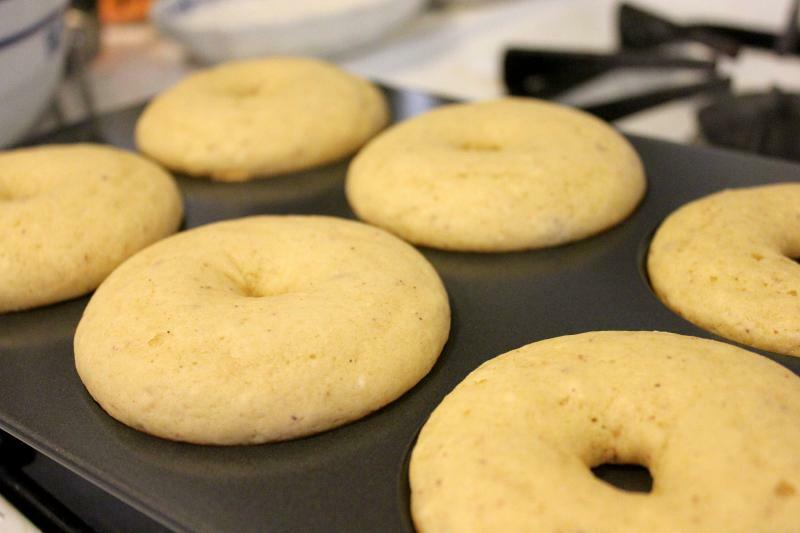 Dollop into your donut pan and bake at 350F for 8-10 minutes. While they're baking, whip up your glaze. Some powdered sugar, milk and vanilla do the trick. The tops don't brown or anything, so be careful not to overcook. These are also mostly a little overfull. Let them cool in the pan a little, then transfer to a wire rack to cool completely. Then dip in your glaze. You can just dip one side, or dip both if you want it fully glazed. Let those sit for 30 minutes if you can before chomping down! These look amazing. It makes me want to go buy a doughnut pan! I know, it seems silly to buy a whole special pan for something! Hopefully I'll be using it enough to justify having it.